and reviews from an award-winning editor. build community, and tell a story. The Cookbook CourseTM is for serious authors and brands who are ready and determined to create a cookbook and want professional guidance and a step-by-step plan to succeed. This 9-week course gives participants a blueprint from an award-winning editor—and access to a team of cookbook publishing professionals who will share valuable insight to help you succeed. 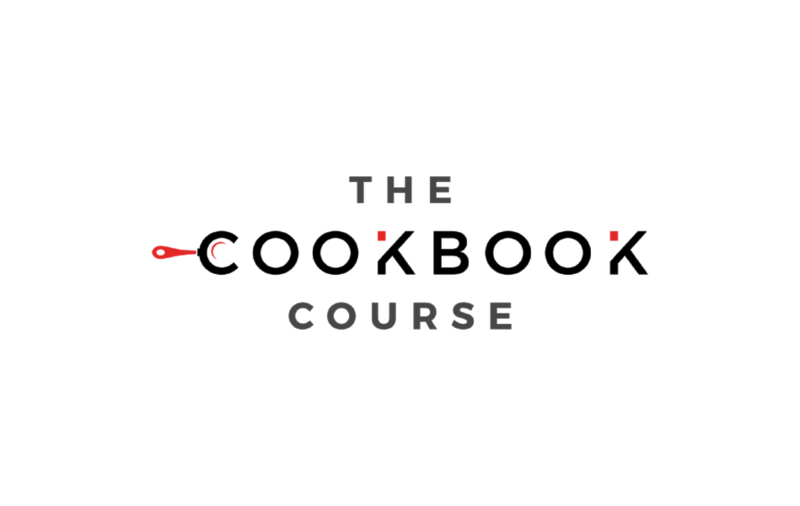 By the end of the course, you will have a proposal, a marketing plan, tested recipes, and a customized schedule to finish a book. If you want a cookbook to promote and market your food or cookware company, restaurant, lifestyle brand, tourist destination, or health and nutrition business, this course will teach you how to create a cookbook to accomplish your marketing goals. If you'd like to build long-lasting connections with people, cookbooks can be powerful tools for increasing the value of important relationships. If you have always felt like you have a cookbook in you, if you have a vision for a book, and you know you can do it with the right guidance and insight, this course is for you. Shaun Chavis owns Saltshaker Marketing & Media, a boutique content marketing agency that specializes in creating brand cookbooks for food, wellness, and tourism businesses. Shaun spent four years as a development editor for Time Inc. Books, where she specialized in finding and working with new talent, and managing book concepts from start to finish. Three of her books were Cooking Light list bestsellers. Cooking Light Mad Delicious: The Science of Making Good-for-You Food Taste Amazing! won Time Inc.'s Luce Award for Best Book of the Year and the James Beard Award for Focus on Health in 2015. Shaun worked on The CarbLovers Diet, which spent 11 weeks on The New York Times Nonfiction Best Sellers List. 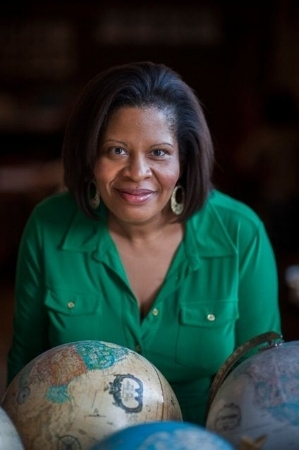 She also edited Southern Living's first book-to-iPad app, The Big Book of BBQ. As a journalist, Shaun's worked for ABC News and Health magazine. She has a culinary degree and a Masters in Gastronomy from Boston University. Getting dinner on the table is just one of five reasons people buy cookbooks. Learn about all the reasons people buy cookbooks, and how to make your concept commercially viable. Refine your mission and message, clarify and strengthen your concept, and learn how to do a competitive analysis for your book. You should write a book proposal even if you plan to self-publish. Walk through how to format a proposal, step by step. Learn how to determine what to spend your budget on, what kind of rates you'll pay, and how to get creative on a limited budget. Learn how to write a positioning statement for your book. Guest speaker: A publishing house acquisitions editor talks about proposals that sell. Publishing houses start selling books as soon as the proposal is done, and you should, too. Focus on the marketing plan for your book. Learn how to build your audience and platform. Learn strategies to market your book before it's published. The cover of your book is the single most important element that sells your book, and most customers spend less than 10 seconds looking at it. Our guest speaker, a creative director with experience in cookbooks and food magazines, talks about what makes a great cookbook cover. Also learn how to develop a concept for the cover and design of your book that supports your message. Begin planning the sexiest part of creating a cookbook: The photography. Most authors dream about the photography, but don't put a lot of thought into photography that truly supports what you're writing. You will! Our guest speaker is a cookbook photographer. Learn about the types of photography and how cookbook photography is different than other types of food photography. Begin developing your signature look. Get valuable strategies for managing your photography team and making the most of your photography budget. A few great recipes can make the cost of your book worth it—and one bad recipe could cause trouble you don't want. Refine your recipe list to help tell your story and serve your audience. Give your book a consistent and professional edge by developing a brand stylebook for your recipes. Next, learn how to write a recipe. Our guest speaker talks about the ethics of recipe writing to help you avoid costly mistakes. A good story, and the voice an author uses to tell their story, are one of the top reasons people buy cookbooks. Learn how to develop your voice and use a cookbook to tell your story. Also, learn how to manage writing a cookbook without feeling overwhelmed, and get helpful tools to manage your project from start to finish. This practical module walks you through the steps of pulling your hard work together into a professional package ready for press: Your recipes, photography, and layout. Explore and understand different publishing options, including traditional publishing, self-publishing, independent publishing, and e-book publishing. Our guest speaker is an agent who will talk about publishing options. Recipes and cookbooks give your audience a hands-on, sensual experience with your brand. For authors and publishers, the return-on-investment of cookbooks is shifting: savvy marketers are using them as brand-building tools. Learn how to use your cookbook to market your business or brand and build community. Special topics can include healthy cookbooks, destination cookbooks, community cookbooks, and cookbooks for a cause. You'll enjoy creating your book. Eager to start your cookbook? 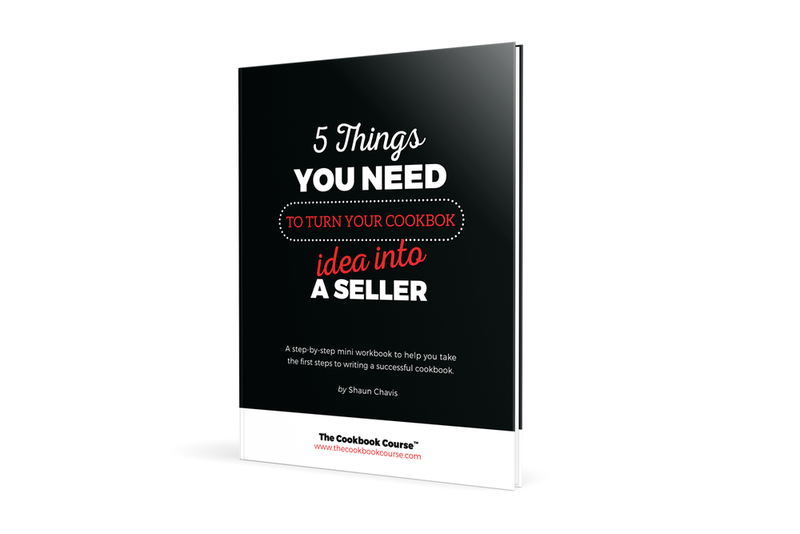 Sign up, and I'll send you a copy of my 17-page workbook, 5 Things You Need to Turn Your Cookbook Idea into a Seller. It’s free—and it’ll help you take your first serious steps to writing a cookbook. Plus, you’ll get updates on webinars, course sessions, and more. Thank you for letting me know you're interested in The Cookbook Course! You'll hear from me soon. In the meantime: Claim your spot now at the next Start Your Cookbook Webinar!